For those who are looking for an option to replace alfalfa sprouts, we recommend red clover. The sprouts have similar size and look but with a milder taste. High in vitamins and minerals, and easy to grow. 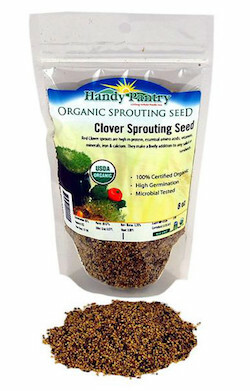 Ingredients: certified organic red clover sprouting seeds.